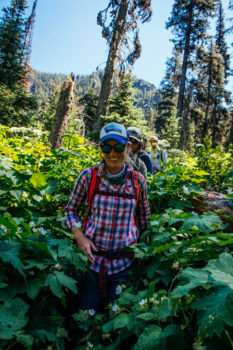 When I first floated the idea of a river trip to commemorate the 50th anniversary of the Wild and Scenic Rivers Act, it sounded a lot like the theme song to Gilligan’s Island. 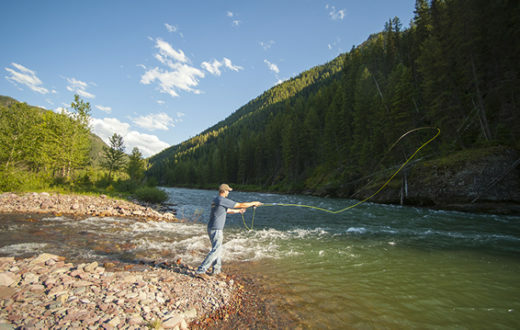 There would be a professional fly fishing guide and raft guides, two writers, a photographer, a federal river manager, three conservationists, a world champion free skier and artist, and a longtime American Rivers supporter and his 11-year old son, all traveling together down 30 miles of the Middle Fork Flathead River over the course of five days. Luckily our group would not suffer the same fate as the crew of the S.S. Minnow and get stranded in the wilderness for years. But I bet if you polled the group afterwards, no one would have been particularly bothered by the idea of such an outcome. Before I started working for American Rivers, I had never heard of the Wild and Scenic Rivers Act. As a passionate river enthusiast, activist and recreationist, I’m not proud to say that I was completely ignorant of our nation’s strongest river protection law. Having pulled a 180 over the last four years, today my entire world is “wild and scenic.” I immerse myself in Wild and Scenic history, engage in the development of Wild and Scenic management plans, and spend a majority of my waking hours conducting grassroots outreach to built support for more Wild and Scenic river designations in Montana. Naturally when the golden anniversary of the Wild and Scenic Rivers Act came up this year, I jumped at the opportunity to celebrate. 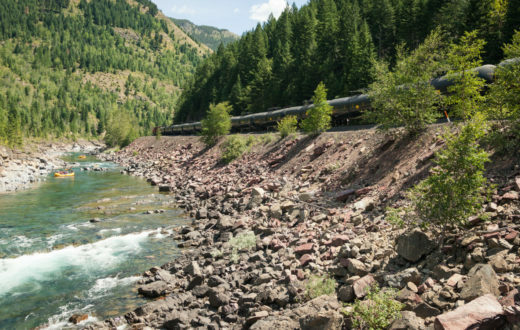 After all, the very idea for the Wild and Scenic Rivers Act was conceived in Montana. 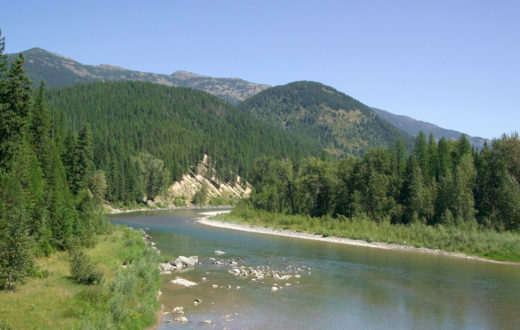 Specifically, it was on a multi-day river trip on the Middle Fork Flathead River in the mid 1950s where the idea for a national system of protected rivers was inspired. Missoula-based wildlife biologists John and Frank Craighead, along with a few colleagues and friends, ventured down the Middle Fork during the summer of 1956 to make a “personal evaluation of its recreational potential,” (Craighead, 1957, p. 16). The Craighead brothers are renowned for their grizzly bear research and for pioneering the use of radio telemetry to track wildlife. When the U.S. Army Corps of Engineers proposed the Spruce Park Dam on the Middle Fork, John and Frank knew that it would flood essential habitat for grizzlies and a myriad of other wildlife species. Determined not to be “obstructionists to development” but rather “defenders of the public interest,” (Craighead, 1957, p. 16) the Craighead brothers set out to identify other important river values that would be negatively impacted by a dam. In an editorial written in the June 1957 issue of Montana Wildlife, John Craighead described what he observed on his Middle Fork Flathead trip and why he believed it was imperative “to keep intact some wild rivers on the basis that they are essential to our way of life,” (Craighead, 1957, p. 17). He went on to suggest classifications of rivers based on their level of “wildness” due to scale and proximity of development (roads, structures, etc.) 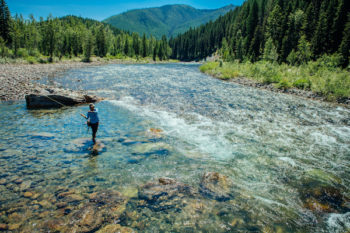 Much of what John and his colleagues deliberated while venturing down the Middle Fork Flathead was incorporated into the original Wild and Scenic Rivers Act, which President Lyndon B. Johnson signed into law in 1968. As our group journeyed down this same stretch of river, which looks exactly the same way it did for John and Frank over six decades ago, I was in a state of awe and wonder. Not only because of the overwhelming beauty and untouched wildness of the place, but because of the Craighead brothers’ foresight of preserving wild rivers for the benefit of the public. They knew what they were up against in opposing the Spruce Park Dam, but John pointed out that if an organized system of protected rivers was in place, “competing interests would know where conservationists stand and the people could decide with a minimum of confusion where their interests lay,” (Craighead, 1957, p. 20). Over the last several years, my colleagues and I have been advocating for more Wild and Scenic river designations in Montana. One waterway in particular, East Rosebud Creek, has faced several hydroelectric dam proposals over the last few decades. Consequently, it became our highest priority for immediate protection. 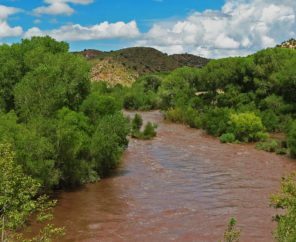 Earlier this year the East Rosebud Wild and Scenic Rivers Act was introduced in Congress for the third time. 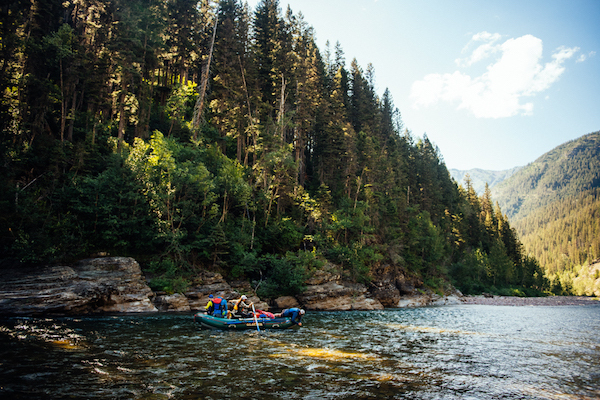 Serendipitously, as our group was absorbing the beauty and wildness of the Middle Fork Flathead River, the East Rosebud bill passed in the House of Representatives, and two weeks later on August 2, it was signed into law. 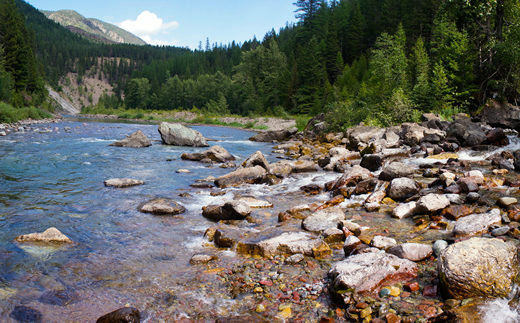 It marked Montana’s first new Wild and Scenic river designation in 42 years. As our river trip came to an end and our group exchanged heartfelt hugs, there was nothing but gratitude in the air. We were all thankful for our guides, the conversations shared, the opportunity to be in this place together, and ultimately for the Wild and Scenic Rivers Act. 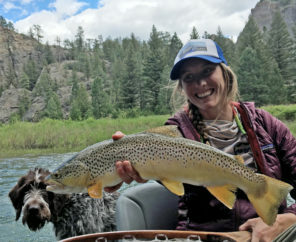 I asked some of my new friends why this trip was special to them or what it meant to be on the Middle Fork Flathead. The common theme in their responses echoed our mantra at American Rivers – rivers connect us. Much as the Craigheads explained more than six decades ago how rivers connect important pathways for all living things, rivers also bring people from all walks of life together in powerful ways. This means of connection is what makes me grateful for a system of protected rivers. In many ways this type of public benefit cannot adequately be quantified, but it is still very much observed and felt by those who experience a wild river. If you don’t know what I’m talking about, I encourage you to take a trip on a wild river as soon as you can. Go right now. Then come back and tell all of your friends. Share your river story with the world, or maybe just your local newspaper. Who knows, your story might be the one to protect a wild river forever. Craighead, J. (1957). Wild River. Montana Wildlife: Montana Fish and Game Department Official Publication, 15-20. Do you have a river story to share? Please visit 5000milesofwild.org today and help us protect more of our most cherished rivers by telling your story.